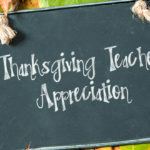 I t’s that time of the year! The most WONDERFUL time of the year!! 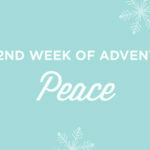 Christmas: A time to focus on and celebrate the birth of Jesus Christ our Lord and Savior. Hallelujah! Christmas can be the most chaotic time of year. With so much focus on material gifts and the anticipation of a certain jolly visitor, families can easily feel they are missing the true meaning of Christmas as they count down the days until December 25. 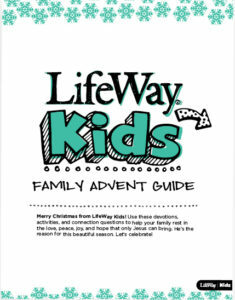 LifeWay Kids is pleased to share a new family Advent guide published by B&H Kids, The Way to the Manger. 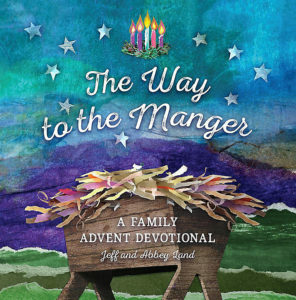 This resource will engage families with the biblical truth of Christmas through twenty-five Advent devotions that redirect families to their need for a Savior and the amazing gift of Jesus Christ. We hope you’ll consider recommending this resource to families this season. 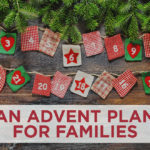 In addition to this family resource, we’d like to share with you a reproducible, email attachable, family advent guide that you can share with families in your ministry. We hope these will help to focus your ministry emphasis this season and lead families to be reminded of the true meaning of Christmas.